The task of the church is set forth in the Great Commission, which involves not only baptising, but also discipling, "teaching them to observe all that I commanded you" (Matthew 28:20). God has not given the sword to the church; our only weapon is the sword of the Spirit, the Word of God. But the Word of God speaks comprehensively to all aspects of human life (1 Corinthians 10:31). The Great Commission does not restrict the church to preaching a simple gospel, the way to escape divine judgement. Rather, the preaching of the church presents to the world a way of life that transforms everything, including politics. Chirstians are not saved, of course, by political action. But they must bring their faith with them into their families, their workplaces, and their politics. Of course, in some culture there is not much that Christians can do, other than pray, to influence political structures and policies. But when they can influence them, they should. In modern democracies, all citizens are "lesser magistrates" by virtue of the ballot box. Christians have an obligation to vote according to God's standards. And, as they are gifted and called, they should influence others to vote in the same way. Taken from my favourite theologian John M Frame's book The Doctrine of The Christian Life . In Zambia the role of the church is very cardinal given the large percentage of citizens who profess Christ. Unfortunately many leaders in the Zambian church have tended to perpetuate poverty and injustice rather stand with the weak. We have touched on this issue in brief posts, but I plan to take a more extensive assessment in a future monthly essay briefly dubbed "The Zambian Church As Agents of Poverty" - an important follow-up to In Defence of A Christian Nation. Other than the few misguided colleagues in the MMD led by a UNIP clique that have taken over the party and a few nuisance one- man NGOs created by the MMD to fern trouble and led by such obnoxious characters as Edwin Lifwekelo, Gregory Cifire, Moses Kalonde, Chanda Chimba, Mulenga and whose despicable mouthings are the in trade of the MMD government controlled Times of Zambia, Zambia Daily Mail and the ZNBC television and Radio networks, all peace loving Zambians organised in all church organisations, women’s movement, workers organisations, young people and student organisations, professional organisations and all those underemployed village farmers and unemployed citizens in the informal sector – are agreed that change in our country is an inevitable historical necessity, that the bad governance of President Rupiah Banda must come to an end as the country goes to the polls. Why did the government's bid to replace the current royalties regime with the resource rent tax proposed by the Henry Review fail? Mainly, because profitable international companies don't like paying tax, and have few qualms about setting up complex legal structures, stone-walling tax authorities and otherwise fighting dirty to shell out as little as possible....I firmly believe that if Australians had understood that the tax international super-profiting mining companies didn't pay on their windfall profits would be clawed back by the Gillard government through attacks on life-saving cures, childcare centre rebates and middle-income jobs, they'd have insisted the Billionaire Liberation Front – a term coined by Lindsay Tanner – pay up. The reason they didn't requires a book to fully explain but boils down to political and communication nous and – you guessed it – finance. Background Briefing reports that the big mining companies spent $22million to defeat the super profits tax by way of a PR campaign that made the government's communications efforts – to use an analogy offered by legal expert Michael Kobetsky – look like the football under-10s. These days big business dirty tricks are the rule, not the exception. Politicians must be armed and ready. You can read the rest of the piece here. A useful reminder to those gullible enough to believe that mining tax policies anywhere are settled by rational arguments. Taxation policy nearly always is an outworking of the power struggle - and in that access to money is everything. Unfortunately, unlike in Australia where they even hope that "policians must be armed and ready", Zambian politicians are directly armed with American dollars in their campaign finance pockets by mining companies. We are constantly bombarded by expert opinion, by all sorts of people – with or without Ph.D. after their name – who tell us exactly what to think (though rarely why we should think it). On the other hand, most of us are woefully inadequate to practice the venerable and vital art of baloney detection (or, more politely, critical thinking), which is so necessary in modern society. You can think of the paradox in another way: we live in an era when knowledge – in the sense of information – is constantly available in real time through computers, smart phones, electronic tablets, and book readers. And yet we still lack the basic skills of reflecting on such information, of sifting through the dirt to find the worthy nuggets. We are ignorant masses awash in information. Of course, it may be that humanity has always been short on critical thinking. That’s why we keep allowing ourselves to be talked into supporting unjust wars (not to mention actually dying in them), or voting for people whose main job seems to be to amass as much wealth for the rich as they can get away with. It is also why so many people are duped by exceedingly costly sugar pills sold to them by homeopathic “doctors,” and why we follow the advice of celebrities (rather than real doctors) about whether to vaccinate our kids. But the need for critical thinking has never been as pressing as in the Internet era. At least in developed countries – but increasingly in underdeveloped ones as well – the problem is no longer one of access to information, but of the lack of ability to process and make sense of that information. The MMD has no specific policy section on “legal and constitutional” reforms. However, it has various small sections that mildly touch on the issues. Effort is therefore made to harness as much as possible from these areas. Section 4.1 of the MMD manifesto discusses its “governance and democracy”. That section mainly focuses on what it is has achieved. In particular it notes that it has drafted the Constitution of Zambia Amendment Bill 2010. Strangely though there's no explanation of what it plans to do in light of the failed process. Section 7.1 has a general commitment that “the MMD government will ensure that the process started in 2007 to review and enact a new constitution and reform the electoral system is brought to its logical conclusion. This will culminate in the enactment of a new constitution, necessary supportive legal and institutional frameworks and ensuring that elections continue to be held in a free and fair atmosphere”. The entire manifesto no single mention of the words “justice” or “legal” or “prisons” or “courts”. The MMD simply has no specific proposals in these areas. It is not something evidently it cares about. The idea of justice to them appears to be just that - an idea. No problems have been identified. The MMD has a general commitment to continue to take forward the constitutional process. It seems like the manifesto has not kept up with development on the grounds. It does not acknowledge the failure of the process. The electorate therefore cannot be sure of what MMD intends to in this area. It has no commitments. Right now MMD is not pledging anything that you could hold them to account. In the area of justice it is worse. No policy diagnosis. No commitments. Just Poor. A shocking spectacle. For the next series of manifesto reviews, we shall focus on the proposals related to governance and justice. This is the most contentious area and it is vital that we are clear on what the parties propose and why. We begin with legal and constitution reforms. Here we focus on PF, a separate post to follow on MMD proposals. Constitution Review: The PF intends to establish, following consultation, a “Committee of Experts” to review the recommendations of all previous Constitutional Review Commissions. It will then subject these to a referendum and subsequent enactment by the National Assembly. "Ethiopian Airlines is Africa's oldest airline and....it has continued to perform well in the African aviation industry. It has in its existence taken some battering from heavy competition in and outside Africa, among the competitors being South African Airline, Kenya Airways and British Airways among others and the only way to counter this was to set out a strategic plan. The just ended five-year plan brought success to reinstall the airline among Africa's finest and is an example of how well an airline could be managed by maximizing on profits. In the just ended five-year strategic plan, the airline surpassed all targeted by raising its income to US$ 1.3 billion when the target was $1 billion from the $390 million at the start of the plan....The 100 per cent Government owned company also raised its profitability last year to $123 million..."
You can read about their future plans here. Ethiopian Airlines of course is not alone. One can point to many companies including Singapore Airlines which are making huge profits as parastatals. Once one drops the ideological (and unfounded based on these examples) positioning that state is bad, private is good, it becomes possible to ask some intelligent questions. For example - what is it about Singapore Airlines and Ethiopian Airlines that have made them successful parastatals where others have failed? What organisation structures do they have? How do they handle pressures from government? Or are such pressures non-existent? If so, how has that happened? We have sort of touched on this before- see Progressive Analysis. Ha Joon Chang's Reclaiming Development is also good source for starting to think around these questions. Unfortunately, these are not questions that politicians will ever bother to ask but an intelligent citizen surely has a duty to do so. The current challenges in health services are humongous. I was recently at Ndola Central Hospital and saw many horror stories – an entire city hospital for example with only one dialysis machine. HIV patients are kept with people suffering from severe skin diseases. Patients sleep on the floor. Stories abound of people jumping from the sixth floor to commit suicide because of poor conditions. The stench alone is enough to consign an alien visitor to mental asylum. That is in the province that is the "home of copper"! Now, what about rural hospitals? Then there’s the never ending corruption and procurement scandals. It is no surprise that the sector continues to experience a massive "brain drain". The challenges facing any new government appear insurmountable. So that is where we are, but now for the MMD proposals on what it plans to change. Many of the MMD proposals in this area are too generic, but the following are more specific. India's Taurian Manganese Ltd plans to invest $150 million to build a manganese processing plant. The construction of the plant, which would produce 720,000 tonnes of manganese per year at its peak in 2014, was expected to start by June this year. It is dubbed to be the "largest manganese processing plant in Africa" with three furnaces that will have a combined peak capacity of 60,000 tonnes per month. More detail via Reuters. We have previously touched on the manganese question here, here, here. We hope to shortly review the MMD proposals on Health and Agriculture to ensure that we reviewing the PF and MMD proposals in close proximity. However, its worth sharing the MMD proposals on local government since this is their first key area in the manifesto. Decentralisation: The main proposal is to implement the approved Decentralisation Implementation Plan (DIP). There’s also a specific commitment to “ensure that chiefs and village headmen play a greater role in development planning and monitoring”. "These rumours of ritual murders are just a scapegoat. The people here have been frustrated by years of poverty, the absence of industries, and the lack of jobs...If the reasons for the riots were genuine, these people would have just been burning these properties... but they are always starting by looting. This thing of saying the richest people are practicing satanism, black magic, killing people and stuff like that is just a façade. People are just desperate for a solution out of their poverty, and this is why they are now targeting the rich..The government would do well to come up with deliberate programmes that would empower the people of Luapula Province and create jobs - then we would stop seeing these kinds of economic-based riots"
A fellow Luapulan economist on the causes of the recent Mansa riots. More detail via IRIN. This is our first assessment of the MMD policy proposals. Naturally the MMD focuses their manifesto on justifying the policies they have undertaken and then proceed to show that there’s some sort of vision they are working to. For our purposes we are not too concerned with what MMD has achieved or hasn’t we are focused on their 2011-16 proposals to allow readers to compare with other manifestos. Primary and Secondary - The MMD plans to expand access to high schools so that two-thirds of those completing basic school education can proceed to high schools. This is basically a continuation of their schools building programme. There also proposals to establish a Teaching Council for “the accreditation of teachers and for ensuring their continuous professional development”. An update to the annual book reading goal. Over the last two weeks, I have completed two different books. I have finished reading The Plundered Planet by Paul Collier. I have already blogged an interesting quote from the book regarding cost benefit analysis. The book seeks to offer fresh ideas on "why and how we can managed nature for global prosperity". A lot of references to Zambia and its mismanagement of the national silver spoon - copper to you and me. Although the book is very ordinary, and the weakest of all of Paul Collier's books I have read so far, it does offer some interesting insights on mineral exploration. Particularly the relationship with how effective exploration may generate greater options to the state when concessioning new private driven production (principally through auctions). The general point is that if you know whats underneath you have more control over your mineral. Zambia is doing shockingly poor in this area. We have actually completely privatised mineral exploration (save for little promises from ZCCM-IH) and therefore it is the foreign finder takes all. The second book was Love Walked Among Us by Paul E Miller. I had been reading this book slowly which I purchased after reading A Praying Life : Connecting with God in a Distracting World by the same author. I have not been disappointed. The book was a pleasurable read and very timely for Easter as we remember the death and resurrection of the Lord Jesus Christ. A strength of Paul's writing is the ability to place you within the gospel narrative. A recommended read. I am already on the look out for his next book. Now, I recognise that I have not done some reviews for a while. Well to be fair I have not exactly been inundated with emails requesting reviews, but I do enjoy writing reviews. Part of the problem at present is that there are many new posts which needs to be written (its election time!) and therefore little scope for writing a review. But I hope to pen some over the summer. Watch this space! If you have a book penned by a Zambian or about Zambia or Africa that you want us to review, do let me know and I can put it on the reading list. It helps if it was released late 2010 or in 2011. Agriculture is not only one of the most important economic sectors in the country, but it is also the most politically sensitive. 70% of our people live in rural areas and largely practise farming or fishing. The other reason is that it is heavily connected to the issue of land which inevitably draws in traditional leaders. It’s therefore comes as no surprise that this is the longest section in the PF Manifesto thus far. Crop diversification: Many of the proposals are similar to what already takes place, though PF believes they can be better implemented with greater political commitment. The main new proposal is the commitment to review the Food Reserve Agency (FRA) Act in order to "rationalize its operations and functions". We are delighted to add the new Movement for Multi-party Democracy Manifesto. We hope to review this alongside other manifestos - see Manifesto Analysis. UPND remains the only leading party that does not have a manifesto. Cost-benefits analysis is also impractical for most of the countries of the bottom billion because it requires the services of a small army of economists. The typical civil service has nowhere near the manpower to undertake such analysis except for a few large projects, and these are precisely the projects that are least suited to the technique. Even where there are sufficient technocrats to perform cost-benefit analysis, their results are only good as their independence. The typical government ministry in the societies of the bottom billion provides little protection for technocrats who cross the pet priorities of a minister. Yet countering politically driven priorities is half the purpose of cost-benefits analysis. I sort of agree with what he is saying, but this appears to miss some crucial points. It seems to me the problem is not that Cost Benefit Analysis is difficult for "large projects" (What is meant by "large" anyway?). It is largely the problem of what is understood by cost benefit analysis (CBA). Collier seems to have in mind not cost benefit analysis but quantification or monetisation of impacts i.e. putting Kwacha signs on the impacts we identify from a given hydro-electric power project or road. That is not actually the purpose of cost benefit analysis. A good CBA seeks to identify the central economic problem; whether intervention is warranted; and the feasibility of the options for intervention. Numbers are important but only as part of the detail in the "story telling" and not because they are the story. We found that high “growth spells” were much more likely to end in countries with less equal income distributions. The effect is large. For example, we estimate that closing, say, half the inequality gap between Latin America and emerging Asia would more than double the expected duration of a “growth spell”. Inequality seemed to make a big difference almost no matter what other variables were in the model or exactly how we defined a “growth spell”. Inequality is of course not the only thing that matters but, from our analysis, it clearly belongs in the “pantheon” of well-established growth factors such as the quality of political institutions or trade openness. From a recent analysis by Berg and Ostry (full paper here) which appears to show that narrowing inequality helps to sustain growth. This is particularly important because empirical evidence appear to show that starting a growth spell is the easy part, sustaining it is much harder. For Zambia, like many African countries, currently enjoying a growth spell, the question clearly is “Will it last?” and related to that, “How do we keep it going?” Part of the answer, according to this research, appears to depend on what is done to reduce income inequality. So we find again that the issue of equity (and social cohesion) cannot be divorced from growth. Now the question is – what policies should Zambia be pursuing to narrow rampant inequality and deliver long-term growth? The current challenges in health services are humongous. I was recently at Ndola Central Hospital and saw many horror stories – an entire city hospital for example with only one dialysis machine. HIV patients are kept with people suffering from severe skin diseases. Patients sleep on the floor. Stories abound of people jumping from the sixth floor to commit suicide because of poor conditions. The stench alone is enough to consign an alien visitor to mental asylum. That is in the province that is the "home of copper"! Now, what about rural hospitals? Then there’s the never ending corruption and procurement scandals. It is no surprise that the sector continues to experience a massive "brain drain". The challenges facing any new government appear insurmountable. But these challenges is also what the PF proposals in this area interesting. Health should be the PF’s strongest suit because the party President Mr Michael Sata is famed for the many positive changes he introduced while he was Minister. Mozambique continues its quest from transport supremacy, with announcement of a US $102m new airport in the northern city Nacala in an effort to expand infrastructure to attract tourists and. A military base is being moved to make way for the airport, which will facilitate travel to a key city in the underdeveloped north of the country. Nacala has Mozambique’s only deepwater port and is vying to serve as an export centre for Zambia and Malawi once a railway is built to connect the southern African hinterland to the city. Mozambique has been engaged in massive infrastructure projects. In aviation alone, there have been upgrades to Vilankulo and Maputo airports as it seems to capitalise of its untapped tourism potential. “I just want to take this opportunity to thank many of you who have sent whatever little assistance you have to the party. The Ambassador to the EU was telling me that the convention was wonderful; it was wonderful because of those little monies that you sent to us...We spent all this money in order to ensure that our party has an open convention. I am saying little only as a description but we are so appreciative as the party that you sent us this support.....We still need your support as we go forward because of the elections which are there this year and we are going to need money for fuel to move, we are going to need money to feed our cadres, we are going to need money for materials for the campaign; we are going to need a lot of help, so whatever organisation you can make in order to support us we will really appreciate. Thank you very much for the support you have given us so far..."
President Banda pleading for funding from a supposedly non-partisan Foreign Service. This should be considered an abuse of office. The President has turned the foreign service into a funding pot for his re-election campaign. The Foreign Service, which is supposed to be non-partisan like the entire civil service, has repeatedly come under criticism from the civil society and other interest groups for mainly consisting of the President’s relatives, friends and ruling MMD cadres. With civil service being a cash cow, any plea for a rational "foreign relations policy" is lost on deaf ears. Is it any surprise that we continue to see a plethora of embassies, without a strong business case? When are Zambians going to start demanding some semblance of common sense from our leaders? If we don't start demanding a certain degree of professionalism from those who are paid very high wages abroad, this will continue government after government. It will never end until our people begin to stand up for themselves. There's absolutely no excuse for the President's position. The Registrar of Societies should not register the new political party called “People of This Way” or “People of The Way” announced on Muvi TV by Mr. Bernard Mumba, and whose symbol is the Holy Bible. We should not allow any individual or group of individuals to use of a religious platform to form a political party. If it gets registered, it will open up a “can of worms” that will lead to those who believe in Islam, Judaism, Buddhism, Hinduism, or Jainism to attempt to establish and register political parties based on their religions. There is a possibility that the formation of the new party is fostered by the Declaration of Zambia as a Christian Nation by Dr. Frederick Chiluba at State House on 29th December 1991, which was later incorporated into the Preamble of the 1996 Republican constitution, and which the National Constitutional Conference (NCC) tried to retain in the failed Constitution of Zambia Bill, 2010. The transmission from growth to jobs is not automatic. In Africa growth has been driven predominantly by the price boom in natural resources. This does not directly generate much employment: revenue growth has been mainly due to higher prices rather than increased quantities, and in any case the sector is not labour-intensive. Indirectly, it can even reduce formal wage employment through the standard Dutch disease squeeze on domestically produced manufactures as a result of real exchange rate appreciation. So how, during a commodity boom, is employment best generated? Jobs will come from that part of the economy which is internationally non-tradable. Further, since the revenues from resource extraction are unsustainable, much of them should be devoted to assets rather than consumption. The sector which satisfies both these conditions is construction: it is non-tradable, and its outputs, structures, are capital goods. But what structures should be produced? The conventional answer is infrastructure, but its construction is often not employment-intensive. An alternative is housing: were Africa's slums replaced by decent, low-cost homes it would create mass employment for young men. Housing is an asset that is relatively easy to collateralize: the homes for Britain's nineteenth century cities were financed by building societies. Channelling the revenue from commodity booms into urban housing is a long way from conventional growth-focused economic thinking, but it is the sort of idea that will be needed if the new power of the street is not to turn dangerous. From Collier's interesting piece - Information is Power: But Where Will It Lead? The necessity of drawing out the linkages between resource revenue and wider diversification or general employment creation in other sectors, is something I touch on in our monthly essay - Five Questions on Zambia's Diversification. The problem in Zambia is that we are not willing to get this resource revenue windfall. Yet another party is born! The new political party called is People of This Way led by a "Lusaka businessman" called Bernard Mumba. The party symbol is the bible. Actually, shouldn't the party be called "People of The Way"? The Way being what Christians were first called - that is to say Christians are followers of the The Way. Jesus Christ being "The Way, The Truth and The Life". There's certainly room for a party like this in Zambia. Its an oddity that a supposedly "bible based" party does not actually exist. Though such a party would clearly perform better under proportional representation. Whether this is that party is an entirely different question. They have a huge task though to develop a Zambian theonomy - one hopes they wont just be handing bibles out as campaign material. The unregenerate after all can't comprehend the things of God. So how do they plan to campaign? In recent years, an impressive number of biographical works have appeared on the Zambian market. Though very different from one another, all of these works – written by the likes of John Mwanakatwe, Andrew Sardanis, Simon Zukas, Valentine Musakanya, Robinson Nabulyato, and others – are partly animated by the ambition to provide insights into the origins of the economic and social decline that characterized Zambian history from the early 1970s onwards. The theme of ‘what went wrong with Zambia’ is also taken up by Elias Chipimo Jr. However, unlike the above-mentioned authors, Chipimo has an open political agenda. For in Unequal to the Task? the discussion of the country’s (and the author’s own) troubled past serves as a prelude to – and justification for – the launch of a new political party, the evocatively named National Restoration Party. Shocking revelations from a recent pre-season meeting of Zambia Wildlife Authority (ZAWA) and hunting safari operators. The discussion (embedded below) reveals that from 2013, ZAWA intends to convert Game Management Areas (GMAs) to fenced game ranches on 35-40 year leases, allowing permanent structures on a customary (usufruct) lease and with full hunting rights – safari, citizen, and resident - held by operator lessees, all fees paid direct to the community. It appears that ZAWA has decided to privatise customary land from the comfort of their board room and without consultation with the Zambian people. This is a shocking development in how land is administered in Zambia. It is a shameful attempt to dispossess land from the poor and must be thoroughly condemned. We are about to see a massive exodus of our people from their land if this monster is not checked sooner rather than later. Lusaka, Tuesday 12th April, 2011. I am pleased to inform the public that the Ministry of Finance and National Planning [MOFNP] has commenced preparations for the 2012 National Budget and the 2012 Medium Term Expenditure Framework. In this regard, all Zambians are called upon to make submissions on Tax and Non-Tax Revenue Policy proposals which they hope to see in the 2012 National Budget and the 2012 Medium Term Expenditure Framework. The deadline for submissions is 31st July 2012. The three months consultation period has been set to ensure that all citizens, including the youth, women groups, the private sector, and all other stakeholders are given a fair deal and ample time to participate in the formulation of the 2012 Budget. April 8, 2011 : "Lungwangwa goes alone without consultation"
April 9th, 2011 : "the people react"
April 10, 2011 : Now for the "humiliation"
"A cursory look at the so-called Vision 2030...and even the recently launched Sixth National Development Plan (SNDP) confirms the lack of application of economic analysis and more. It is difficult to see what government economists spend their time doing. This is part of the reason why investments made in Zambia have not been of greater impact on the economy, and why still the country is one of the poorest in SADC, in spite of never experiencing natural or man-made calamities..."
From Robert Sanyikosa's recent article Mongu-Kalabo Road : An Economic Analysis. I think the answer to the question is that there are no government economists embedded in government ministries. But perhaps someone would correct me on this. So may be what they need to do is to start recruiting some. However, there has to be a demand from the public for evidence based policy for government to even bother. At present Zambians just see a road and money spent on it and they think its development. Questions about value for money, alternative uses, economic rationale, etc do not cross their minds. Also government does not properly consult. Why would they, when people seem content with the status quo? Is the MMD administration captured by mining companies? Dr Haglund and many other commentators have no direct interest in the politics of Zambia. They base their recommendations on evidence. Ironically, even institutions such as the International Monetary Fund and the World Bank, which in the past were the usual scapegoats for policy inertia, are now all loudly criticising Zambia’s mining tax policy. Despite all this criticism, Rupiah Banda’s MMD government is unmoved. After all, his focus and that of his government officials is on self aggrandisement and not to serve the people of Zambia. Rupiah and his friends are benefitting from mining because the mining corporations give them all sorts of personal favours – they bankroll their election campaigns. For this, they are ready to sell the taxes that are due to our people. This is criminal. This is corruption. This is what happens to a country when greed and selfishness reign supreme. From today's Post Editorial on Mining Tax Policy, which touches on Dan Haglund's recently research on mining policy in Zambia - see his guest blog Policy Evolution in the Zambian sector. The notion of "lobbying" as backdoor capture is something we will discuss in more detail in our monthly Leading Voice essay for May. The other issue of campaign finance we have touched on - see the post At The Mercy of Business. There's a clear need to introduce stronger campaign finance reform. This does not require a constitutional amendment. A new bill can be passed like yesterday that would remove external capture by big business and foreign governments. Politicians unfortunately will not push for these reforms for reasons suggested by the Post. So individuals must agitate for them. On a related point, we preparing another short essay "debunking the case for political funding" which will also touch on this issue, though from a different angle. We want reform in campaign finance, but that should be about rules not public funding which wastes the little money we have. Worth looking out for those two essays! No, don't get too excited, not our analysis by that of the Patriotic Front. See their document Why We Are Winning. Some of the text is missing but it shows both PF and MMD projections which point to a PF victory. I will need to study and replicate the text here to comment further. But one of the things I noticed is that PF calculations have not factored in an upswing in their Western Province share. Most analysts expect that to go up substantially this time round. Before we begin our ‘manifesto analysis’ series it is worth making clear the analytical approach we shall take. The overarching approach will be guided by the need to be concise and consistent. Concise because we won’t cover everything but focus on the key specific proposals under each area. Many parties make promises but they are never specific because they have no serious intention to do anything - we shall not waste time on such "promises". The analysis will also be shorter to allow us to finish. We have two more manifestos to come so the plate may get full quickly! We plan to be consistent by ensuring that each post asks the same three key questions we have asked below. This will help readers compare within and across manifestos. It also ensures that the analysis is objective. For our first post, we begin with the Patriotic Front (PF) proposals on education policy as set out in their manifesto. Early education: It intends to "provide and facilitate early childhood education centres and teachers in all local government wards in Zambia". There are also promises to equip teachers with training at diploma and degree levels in early childhood education. First, growing inequality is the flip side of something else: shrinking opportunity. Whenever we diminish equality of opportunity, it means that we are not using some of our most valuable assets—our people—in the most productive way possible. Second, many of the distortions that lead to inequality—such as those associated with monopoly power and preferential tax treatment for special interests—undermine the efficiency of the economy. This new inequality goes on to create new distortions, undermining efficiency even further. To give just one example, far too many of our most talented young people, seeing the astronomical rewards, have gone into finance rather than into fields that would lead to a more productive and healthy economy. You can read the rest of the article via Vanity Fair. Studies suggest that when Africans go online (predominantly with their mobile phones) they spend much of their time on social media platforms (Facebook, Twitter, YouTube and so on). Sending and reading e-mails, reading news and posting research queries have become less important activities for Africans. In recent months Facebook — the major social media platform worldwide and currently the most visited website in most of Africa — has seen massive growth on the continent. The number of African Facebook users now stands at over 17 million, up from 10 million in 2009. More than 15 per cent of people online in Africa are currently using the platform, compared to 11 per cent in Asia. Two other social networking websites, Twitter and YouTube, rank among the most visited websites in most African countries. More from detail via African Renewal. South Africa's AGZAM Project Developers Ltd plans to build a $US251 million sugar and bio-ethanol plant, one of the largest non-mining investments in recent years. According ZDA, "The company will produce 200,000 tonnes of sugar and 28 million litres of bio-ethanol per year...Production is expected to start by 2013 and we expect that the project will create around 4,000 jobs". The company will cultivate about 15,000 hectares of cane sugar in Kazungula and support about 3,000 hectares of plantations by out-growers. It is thought that once completed, it will increase Zambian sugar production by 50 percent which should be good for export revenues. Domestically this looks like good competition for Zambia sugar. But the scale of land involved seems huge. Presumably some chiefs have struck a bargain somewhere. 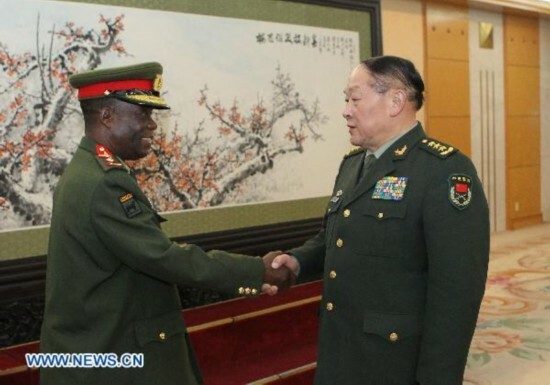 Zambia Army Commander Lieutenant General Wisdom Lop in Beijing on Saturday with Chinese Defense Minister Liang Guanglie as they sought to "strengthen military cooperation". Why Zambia needs to expand its military cooperation with Beijing I have no idea. What I do know is that Beijing's military foray into Zambia and other African countries continues unabated and the aim appears to challenge western military influence in Africa. We have already seen that after the USA sought to establish Africom (now lingering off the coast of Libya) a number of nations roundly rejected those advances after pressure from Beijing. An academic study noted that China's military-to-military activities in Africa, including defense attache presence, naval ship visits, arms sales and other missions to support military cooperation are expanding to keep pace with China's growing national interests throughout the region. It is well established that the relationship between economic help and military intervention is inseparable. It is illogical to expect nations that invest billions in other nations, not to back up that investment with some guarantee of security. China's growing integration in Zambia is bound to be accompanied by greater military intervention as it seeks to guarantee its "investment". This is the most worrying aspect of China's reach in Zambia, and we cannot remain blind to it. We are delighted to have access to the new Patriotic Front 2011 - 2016 Manifesto. This is the hottest property in the country and I believe we are the first to make this available online. Huge thanks to our friends for getting it to us in good time to review and critique. All being well, we plan to review the manifesto chapter by chapter - a special Manifesto Analysis page has been created. That replaces the "Constitution Bill" page that is now dead in the water. We hope to publish the MMD and UPND promises in due course when they are available. We anticipate the MMD manifesto to be launched at the Convention. In 2007 I spent half a year in Zambia conducting the primary fieldwork for a PhD thesis (embedded below) I was writing at the University of Bath. The primary aim was to understand how mining sector policy evolves in a context of a ‘presidential’ political culture and a diverse set of mining companies (from emerging economies like China and India as well as the ‘west’). A secondary aim was to explore whether organisational learning was leading to convergence across companies’ operating standards. The key issue areas on the agenda back in 2007 were fiscal regimes (and the inability of government to capture equitable rents from a boom in copper prices), environmental/health/safety regulation and enforcement (or lack thereof), and local content/supplier relations (and the limited catalysing effect of mining companies on development of local suppliers). My thesis looks at these three areas, based on over 100 semi-structured interviews spanning 2007-2009, by focusing on four case study firms (Konkola Copper Mines, NFCA, First Quantum and Chambishi Metals). I recently acquired a Kindle which I have found tremendously useful. Also my wife has been urging me to get the many books I have acquired over the years "rationalised". However, my use of it has been somewhat limited because I am still working through a backlog of around 12 physical books. I managed to whittle it down to 11 this week with the completion of Which None Can Shut : Remarkable True Stories of God's Miraculous Work in the Muslim World , by Reema Goode. It's selected autobiography of their family's story living in the Arabian peninsula as Christian missionaries. Christianity of course is banned in these places and converts are punishable by death. As you can imagine it keeps you on the edge, so I managed to chew 165 pages within a short space of time. The book has given me greater thirst to read more stories of missionaries. Those who are serving Christ in the most extreme environment. So I am now on the look for some. Those are the words of Inspector General of Police (IGP) Francis Kabonde[i] when he appeared before the Parliamentary Committee on Legal Affairs earlier this year. Kabonde should know a thing or two about intimidation because he presided over the Mufumbwe violence[ii]. A bleak chapter in our recent past now best remembered for the spectacle of Kabonde running for his life in fear of Movement for Multiparty Democracy (MMD) cadres. Though the blame can be laid at his door, Mwanangombe is right to note that Kabonde’s woes reflect the political predicament of every IGP since 1991, not least his predecessor Mateyo: "In Lusaka two days before the by-election that picked Rupiah Banda (MMD) as president of Zambia, Mateyo decided to set aside areas to enable all political leaders in the election to have their rallies simultaneously.....This arrangement did not please the MMD, as it allegedly split the attention of voters. After Banda won the vote Mateyo was promptly out of a job, under the pretext that he was going abroad as a diplomat. He is still languishing in Lusaka". At the heart of any approach towards better public safety is the capacity of the policing authorities to fulfil their constitutional duties. Understood dynamically, this “capacity” is inherently institutional and depends heavily on the extent to which the policing authorities can genuinely fulfil their given responsibilities under the law. This in turn depends on how much operational freedom the constitution gives them to fulfil those duties. Without operational independence the police are effectively reduced to being a toy of political leaders whose overriding desire is to remain in office. Kabonde and Mwanangombe’s assessments, though from different angles, appears to suggest that this is the state of play in Zambia. More importantly it is not ideal. Under the current constitutional arrangement the President appoints the IGP, Commissioner and Deputy Commissioner of Police. These officers serve at the President’s pleasure. The IGP has, subject to the orders and directions of the President, superintendence, direction and control of the Force. The President also has powers to determine the numbers of the various ranks within the police as he sees fit. There is no security of tenure for the IGP and other senior officers. This explains why the job of IGP has changed so many hands since 1991. The President exercises significant de-facto control. It really does not matter whether Mr Mateyo or Mr Kabonde is in charge the President to all intents and purposes runs the police force. It is no different from how barons in Middle Ages Europe used to run fiefdoms with their knights. Supporters of the status quo would contend that the current framework exists to “guarantee security” by ensuring the President has his man, after all he is the Commander in Chief. There are suggestions among some partial observers that the precarious nature of our nation does not lend itself to an independent police force. This argument should not be entertained because we may as well ensure all branches of government are made up of the President and his relatives. That way we would really ensure that all was well. But no one would accept that because it is folly. More importantly such simplistic defence of the status quo ignores the interplay between weak appointing rules and other elements of governance. In particular, without clear incentive structures it becomes difficult to address a serious monster that lies in Kabonde’s organisation, namely corruption. Police corruption is rife and a large reason is lack of publicly accountability from the top commanding structure. This should worry us because economic intuition suggests that while corruption may have some detrimental effects on growth, it’s likely that the severity of impacts would vary by the type of corruption. Not all corruption is the same and given the limited resources available to government, the appropriate policy response is to focus on those areas of corruption which may be more harmful in terms of growth and equity. Corruption in the police has strong negative impact on our society for two reasons. First, it usually hits the poor twice. Police corruption represents an instance where poor people pay bribes in connection with misfortune or adverse events they experience, with the consequence that the expense and possible disutility of bribery compound the original problem. The central point is that misfortune or adverse events can lead an individual or household to bribe simply by increasing their need for police service. For example, victims of crime will want to report the crime to the police, an act that may require a bribe to ensure police cooperation. The magnitude of the effect would depend not only on the severity of the problem, but also the degree of police corruption when victims seek police support. Secondly, police corruption is damaging generally because it affects an institution that is there to prevent it. Police corruption is likely to encourage corruption in other areas, since the possibility of detection is reduced. For this reason, many people have emphasised that any fight against corruption must begin with eradicating corruption in the police force and the various watchdog organisations. In many ways the current corruption in our police force is more likely to damage the “fight against corruption” than any corruption taking place in education or elsewhere. Criminal activity in the police sends the wrong signal to other areas of society. But how do we deal with all these challenges? A professional and effective police force won’t be delivered overnight, but we can make a start. A place to begin is to move away from paranoid structures and think more holistically on what delivers a sustainable relationship between institutions with overlapping authority. In that vein, a better approach is to think of policing services as based on a “social contract” between the Zambian people and the Force. Underpinning that contract is two things. First, the Zambians must recognise they are the managers and the police force merely exists to serve them. Secondly, there should be clear operational independence guaranteed to the police in exchange for clear and effective accountability on their part. Police officers should do their work unhindered and should be well remunerated for doing so. In turn, every citizen would expect each and every police officer to be held to account. As part of that broader revised social arrangement, it would be necessary to guarantee operational independence within a new working framework. The IGP should ideally be appointed by an independent body, such as the Parliamentary Select Committee on Home Affairs or a service commission. This process must be done through open competition, with opportunities for people to apply based on competence and proven track record. Parliament can play a quality assurance role through an enhanced ratification process[iii]. Whilst the Executive would now purely set the targets that the police force should meet annually. At the basic level this would focus on ensuring the police are fulfilling their duties, but perhaps more fundamentally it ensures that in carrying out their activities the police are not themselves above the law. The social contract can be supported through soft reforms that do not cost anything. A key aspect of this is the need to send a clear signal to the members of the public that the police are not above the law and that any crimes committed by members of the Force would be investigated and prosecuted. This is best done by giving oversight institutions (e.g. Anti Corruption Commission) freedom to investigate the police by decoupling these watchdogs from the Ministry of Home Affairs and placing them solely accountable to an autonomous board or Parliament. These institutions would have power to investigate, arrest, and prosecute without reference to any other authority. This would send a strong signal to the police and helps to serve as a deterrent. Investigation of malpractice relies on information. This principally comes from members of the public and the police officers. On the public front, there's need to strengthen the Public Police Complaints Authority (PPCA), the current oversight mechanism for providing checks and balances and in theory is meant to act as deterrent to abuse of police power and violation of people's rights. The PPCA was established in 2003 with the power to investigate complaints from the public against the police as well as injuries or deaths in police custody. The PPCA submits its findings and recommendations to the Director of Public Prosecutions (DPP), IGP and ACC. As an institution the PPCA has been a complete failure. Since its establishment the PPCA has received over 800 complaints, made near 50 rulings and dismissed only 13 officers for abuse of authority. Many people continue to lack information on their rights and where and how to seek redress against police brutality. As a result the PPCA has been totally inadequate in acting as a mechanism of keeping trust between people and the police. It has been ineffective in reducing police cruelty, torture and degrading treatment of suspects. Last year for example, we saw unrestrained police violence with respect to university students, something that led the IGP to apologise. Commenting on the levels of police brutality and the debate on compensation, Charles Mulipi[iv] aptly noted that if all people abused by the police asked for compensation, our country would be bankrupt. A key problem is the PPCA lack of powers to ensure that the police comply with their recommendations. On many occasions the IGP has refused to comply with the recommendations of the PPCA and the Authority had no power to enforce them. This weakness means that there's no systematic or effective framework for ensuring that police officers responsible will be brought to justice. This in turn creates the perception in the minds of the public and police officers that the police enjoy immunity from investigations. Providing more human rights training to police officers, raising the educational requirements for new officers or other reforms cannot make up for the lack of an impartial, systematic and effective investigation into the violation of human rights by police officers. Something more drastic is needed. An Independent Police Complaints Authority (IPCA) should be established to ensure proper investigation of crimes and other violations by members of the Police Service. An independent authority would receive citizens’ complaints, investigate them and take criminal and/or disciplinary action against police officers found to have perpetrated violations. To be truly effective, such an authority should have full powers under law to deal effectively with complaints, including enabling powers to order the release of persons held unlawfully and powers to ensure immediate access to police dockets, statements and post mortem examination reports. The police themselves can be a vital agent for rooting out malpractice. Effective legal protection for whistle blowers within the police force may encourage many officers to come forward. Whistle blowing is a "public good" whose benefits go beyond the individual. In economic speak, the social benefits of whistle blowing are greater than the private benefits, hence it is underprovided. More importantly, no one is going to be a whistle blower if the private costs outweigh the private benefits. So what we need is the change in incentives so that police officers find it attractive or less costly to blow the whistle. This calls for a combination of effective legal protection and financial rewards. Recent legislation on whistleblower is awfully inadequate to meet these challenges[v]. The reform of law should not just be restricted to whistle blowing it must also be extended to laws relating to policing practices. There are significant areas where legal loopholes exist with respect to the police and other enforcement areas. A key part is that Zambia has not criminalised acts of torture and abuse by police officers. Although Zambia ratified the Convention Against Torture, it has not "domesticated" or ensured its tenets are fully applied into law. As a result there’s no deterrence to police abuse of human rights and degrading treatments of suspects and offenders. Torture should be made inadmissible in a court of law. This can be done partly by criminalising acts of torture by government law enforcement officers and other security personnel. The integrity of investigations and the safety of witnesses must be protected at all times. The proposed reforms would do much to ensure the police force is held accountable while operating within a proper sphere of operational independence. The other side is ensuring that our police have adequate resources to improve their "operational capacity". A lack of resource capacity in many key areas continues to undermine efficient service delivery and from the police force’s perspective, it can be argued that the "police are not being looked after". If we want the very best from the police we must do more to resource them. The FNDP Review 2006-10[vi] reached similar conclusions: "Over the years, the working environment and functionality of these law enforcement agencies have continued to deteriorate. The agencies lack basic operational requisites while the housing situation for officers has persistently been a worsening scenario. Consequently, this has compromised the credibility and integrity of the law enforcement officers and has resulted in low morale of officers, rendering them less effective and efficient in the execution of their mandates." Among the "recommendations" it made includes : increasing funding to enable recruitment and retention the required skilled human resources; strengthening the capacity of training institutions that provide the human resource; undertaking a comprehensive training needs assessment with a view to determining the extent of human resource needs for the sector ; reviewing the curriculum for the different levels of training; and, review the conditions of service with a view to improve the morale of personnel. These are perfectly legitimate ideas which can be distilled into three specific categories for action. First, more man power. There are currently only 13,000 police officers throughout the country. This is half of what is thought to be the ideal figure. The figure has remained static in recent years. The FNDP Review[vii] noted that accessibility to the policy had actually reduced in recent years: "For the year 2008, the staff ratio to the appropriate population in the Zambia Police Service was reported at 1:843, as opposed to the target of 1:580. The ratio increased from 1:653 in the year 2007 due to the non-recruitment of new officers to replace and increase the staff strength". One suspects that HIV / AIDS has also not helped with many officers dying leading to lost capacity. There's a significant need to increase recruitment. Secondly, more training. We need to provide more training to police officers. Professional training should include modules on accountability and public trust. Induction programmes should focus on what it means to be a police officer in a democratic society, with special emphasis on policing by consent. Training can be provided through existing institutions such as National Institute of Public Administration. Finally, more and targeted resourcing. This could take many forms and would require learning from other countries. For example, it might be good to have a government research centre on corruption sponsored by the ACC. We can also set up a UNZA / Government collaboration research programme on corruption. Such a research facility or Criminal Justice Inspectorate can be established to provide regular reports to Parliament on the state of policing and criminal justice system in the country. We may also consider establishing a modern forensics laboratory. Expertise from the Diaspora to help for many of these initiatives, to help minimise resourcing pressures. The question of resourcing of course brings the "how question" given the limited resources. Many of the reforms we have suggested are not costly and can be provided at minimal cost. Improving operational capacity will involve target spending and may require more focused police budgeting. However it should be clear that our collective willingness to spend on law and order depends on the value Zambians place on it. It is a view of many that law and order is paramount and therefore resources must be found. The number one role of government is to keep the public safe and secure. If as a nation we kept to our original budgetary commitments set out in the development plans, there would be sufficient funding to ensure the police are being looked after. Unfortunately this is not the case. The FNDP allocated K371bn for 2006-10, in practice only K125bn (or 33%) was released. It appears that the problem is the political will to carry through what we already know. Chola Mukanga is the founder of Zambian Economist which provides independent and non-partisan perspectives on Zambia's progress towards meaningful development for her people. [iii] Zambian Economist, Constitution of Zambia (Amendment) Bill 2010: Part IV (Ratification Process) http://www.zambian-economist.com/2011/01/constitution-of-zambia-amendment-bill_10.html . This piece has argues the process suffers from a well established problem in economics called “chain store paradox”.